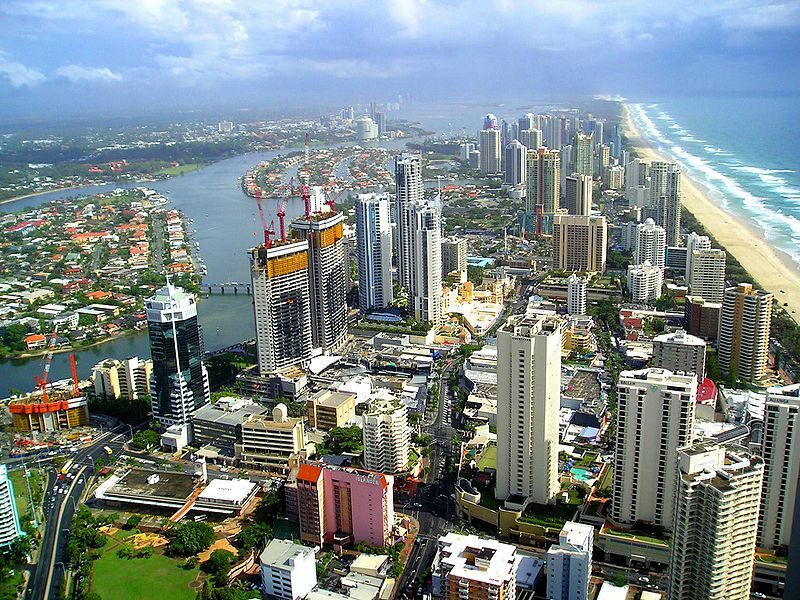 The Gold Coast is the second largest populated city in the state of Queensland and one of the most beautiful tourist destinations in Australia. The population is not so big numbering at just over half a million people. As the name suggests it is a coastal city and is famous for it’s beautiful beaches and warm semi-tropical weather. The atmosphere of this city is quite different from other cities, with the nice weather, people walking around in swimsuits and large amount of tourists giving it a considerably more relaxed atmosphere, compared to other Australian cities. The city is packed with fancy holiday resorts and hotels, several with a beach front view. I recommend staying in a place with a beach front view if you can afford it, it’s a magnificent experience! The Gold coast has several brilliant theme parks that you can’t miss if you travel to the Gold Coast. Some of them are; Warner Bros. Movie World, Dream World, Water World and Sea World. Movie World is incredibly fun, having many rides based on popular movies. Dream World is absolutely jam packed with rides including many fast paced roller coaster style rides. If you like swimming, you’ll be at home with Water World, it has water slides, large pools and even artificial sea waves! Sea World is a nice them park, that doesn’t have many rides, but does have many beautiful sea creatures on display and will provide an interesting experience. The citie’s many beaches are of course a main attraction, with their beautiful blue sea water and light sand. 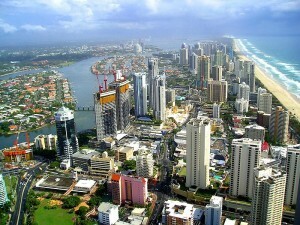 The Surfers Paradise is one of the most major districts in the Gold Coast and a favourite place of tourists. It’s such a beautiful area with so much to do- many places to dine and at night time there’s many pubs and night clubs as well the beach markets. If you need some gambling thrills or want some fine dining and nice drinks, the Jupiter Casino is a great place to visit. For people who decide to explore more of Queensland and not just the Gold Coast, an awesome attraction I must mention is the famous Great Barrier reef. Not only is the reef an astonishing sight to view but it has the world’s biggest Coral Reef. You can view the Great Barrier Reef in many ways- by diving, snorkelling or going for a ride in a boat with a clear hull. Why is the Gold Coast Unique? For it’s beautiful semi-tropical weather, it’s glorious beaches, it’s relaxed atmosphere and it’s many theme parks. The city’s predominant industry is indeed tourism and the Gold Coast is definitely a great escape from a more conventional, busy and boring city.